‘Geometric’ is the term describing the linear decoration of fine pottery made by the Greeks from c. 900 to 700 BC, a period which saw the dawn of Hellenic civilisation. This age, one of the most creative in Greek history, witnessed the compostion of the Homeric poems, the invention of the Greek alphabet, and the establishment of the great pan-hellenic sanctuaries of Olympia and Delphi. Geometric pottery, a leading art of its day, is no less creative in spirit. It is of special importance for the historians of early Greece, being plentiful enough to establish a workable chronology for a period when there are no contemporary written documents. The main object of this book is a comprehensive study of ten local styles, and their relations with one another. This is followed by an attempt to fix their absolute chronology, in the light of the evidence. Finally a historical sketch shows how the results of the pottery analysis can be combined with other archaeological evidence and with later written sources, in order to throw more light on the political, social and economic development of the early Greek city-states. The late J.N. Coldstream was Emeritus Professor of Classical Archaeology at University College London and taught on the Early Iron Age in Greece for many years. 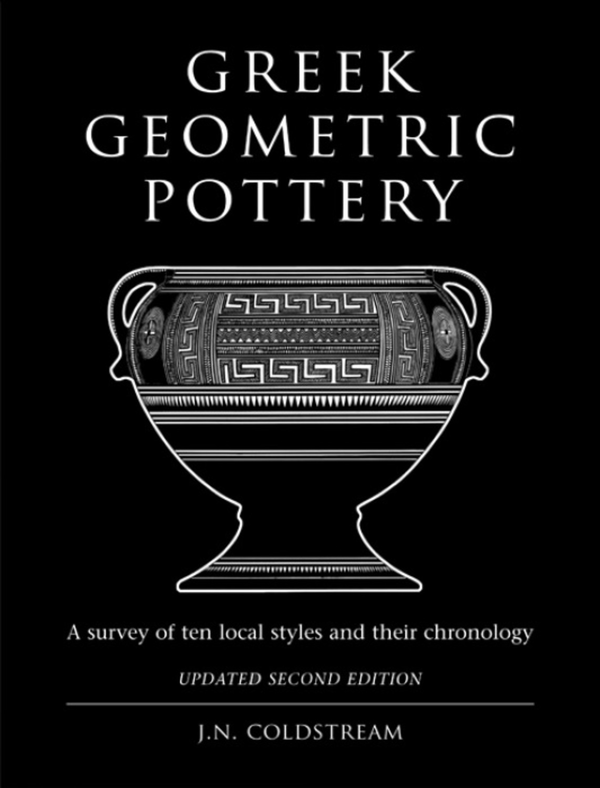 His first edition of Greek Geometric Pottery was published in 1968. Geometric Greece, originally published in 1975, was reissued in 2003 in a revised 2nd edition.